Music is a powerful thing. It can transport you back to another time, bring up memories and emotions that have been long forgotten, and bring peace to a soul in a powerful way. Hymns have the ability to bring comfort, especially to seniors who grew up singing these great songs of faith. Last Friday, my husband and I traveled to Nashville, Tennessee to visit my husband’s grandmother and grandfather. Music City welcomed us with a terrible amount of rain as we drove into town, but all seemed to be right in the world when they welcomed us in the front door. It was a special occasion: all six of their grandchildren (and three great-grandchildren) were gathered together to catch up on life, share a meal together, and sing hymns together. My husband’s grandfather, or “Pete” as most people call him, was a pastor in Tennessee for over 30 years. His wife and my husband’s grandmother supported him for all those years and often sang in the choir, taught Sunday School, and led other programs. Their faith in God is very important to them, and the two most important books in their house are the Holy Bible and the hymnbook. Grandmother and Grandfather are not alone in their love for hymns. 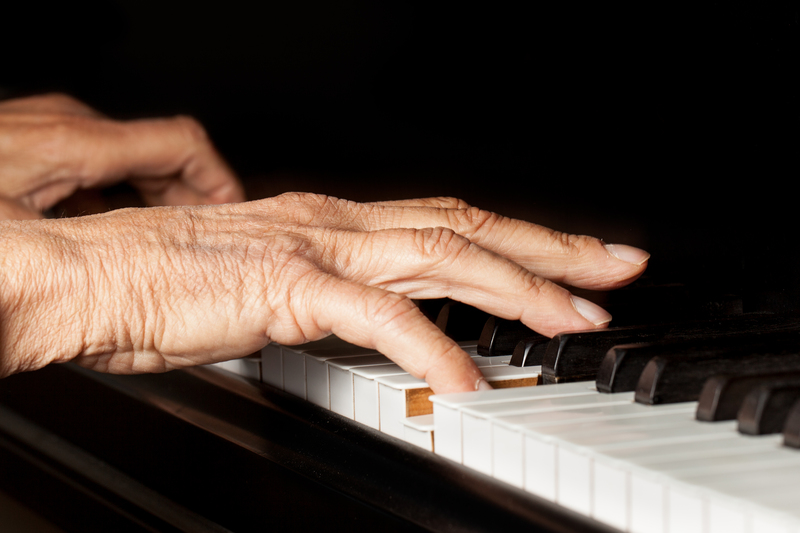 If you speak to many seniors, you will find that hymns are a connection to the past, and remind them of the way God has provided for them in both the highs and lows of life. We had a great time on Friday talking and eating together, but before all of the grandchildren left for the day, Grandmother insisted that we all gather around the piano and sing a song before we left. One hymn turned into ten with grandmother saying “Next?” after each one. Songs like ‘It Is Well,’ ‘Amazing Grace,’ and ‘Victory in Jesus’ filled the room. Songs that communicate hope, belief, encouragement and truth created a bright spot on a rainy day. As we stood around the piano, I realized that a legacy was being passed on. A legacy of a love for God and music passed down through four generations. As I sit with seniors, I often hear their desire to pass their legacy on to their children, grandchildren and great-grandchildren. At Preferred Care at Home, we are dedicated to celebrating the life, dignity and independence of seniors. We do this in many different ways. One obvious way is through providing exceptional care, so seniors can continue participating in the activities they love like attending church and singing in the choir. Another way we celebrate life is through the telling senior’s stories through our Leave a Legacy program. If you have a senior loved one in your life, take some time to hear their story. Visit our Leave a Legacy page for questions to guide you. You can send your loved one’s story to us and we would love to help share it with the world. each time I take dad in the car I play hymns on the CD’s; he loves them and sings right along, we share a special time and we cherish these memories together. What a special time! Thank you for sharing.